Debbie qualified at Liverpool Dental School and completed her degree in Health Studies at Anglia Ruskin University. She has many years' experience working in the field and is committed to patient care. 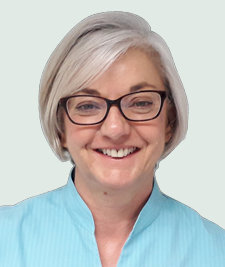 Debbie strives to improve patients oral health and understands the impact it can have on an individual's general health. She works closely with her patients to help them achieve a good home care regime. Debbie continues to enhance her skills and extend her knowledge by attending training courses and dental meetings. In 2010, Debbie was appointed by the GDC as a Fitness to Practice panel member. She is a member of the British Dental Hygiene and Therapy Association.